Introduction to Strategy - What is Strategy? Understand and dissect the essence of Corporate and Business Strategy. What is Strategy? Understand and dissect the essence of Corporate and Business Strategy. Download the Introduction to Strategy by submitting the blue form below. This 20-slide presentation provides an introduction to strategy, separating out the concepts of Corporate Strategy vs. Business (Unit) Strategy. Corporate Strategy addresses the "what," "where," and "when." This presentation discusses a multitude of established consulting frameworks, tools, and analyses used across these strategy disciplines. 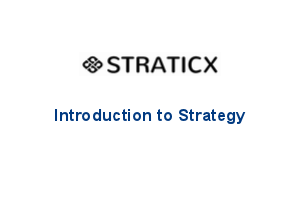 Download the Introduction to Strategy now!